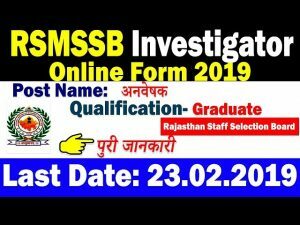 RSMSSB Investigator Recruitment 2019 Online Form:- A new vacancy update for students preparing for the RSMSSB Investigator Recruitment 2019 is today the advertisement of and is the second advertisement of 2019. 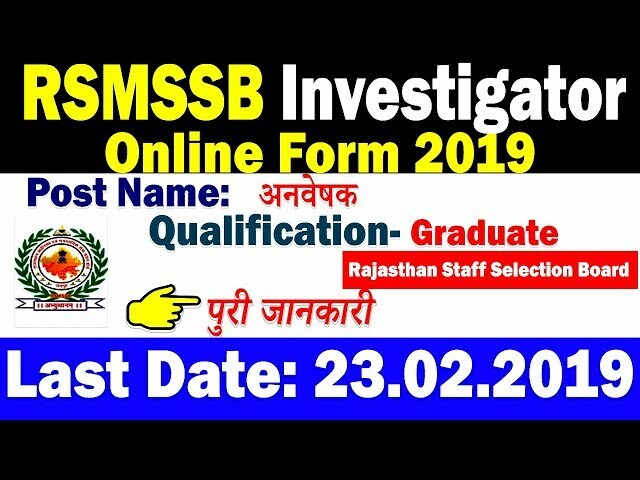 Before you know, two or three days earlier, RSMSSB issued the notification and issued a advertisement of RSMSSB Investigator Recruitment 2019 Given that the vacancy of the Investigator has been removed in the Agricultural Department, the first notice to be understood You see the name in front of you Rajasthan Staff Selection Board Debt is in front of you today’s date is January 22, 2019. 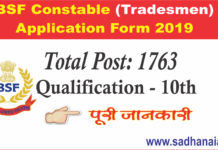 Now we go ahead and notice all the things on this article If you can apply for an application process by e-Mitar or you have your SSO, you can apply online for yourself by sitting at home. Bachelor Degree in Mathematics / Statics Subject. 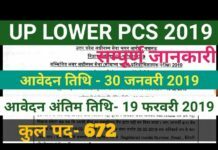 Knowledge of Rajasthan Culture and Hindi Devnagri Lipi. The confluence of wisdom, service and success. “SADHANA IAS” stands out from the crowd in imparting the most efficient instruction, approaching it from all possible angles. Our mission is to demystify the IAS exams and help candidates acquire the confidence and competence to emerge successful.